A graduate from the University of Nottingham (BA in Music), Gavin started his career in music management at Harrison Parrott, before moving on to the vocal division of IMG Artists and eventually to the production department of the English National Opera. In 2005, he joined the artistic management team at the BBC Symphony Orchestra & Chorus as Planning Administrator, and in 2009 moved to Shanghai for an extraordinary two years before joining Askonas Holt in January 2012. Gavin is a keen traveller, continual student of history, enthusiastically bad tennis player & sarcastically stoic. Originally from the Midlands, Emma joined the Tours & Projects department in 2011, firstly as a Project Administrator and then later promoted to Project Manager in 2015. Prior to this she has worked for a range of arts organisations over the past 10 years, including the City of Birmingham Symphony Orchestra, the Midlands Arts Centre and Symphony Hall, Birmingham. Emma has always been a keen flautist and linguist, graduating with a BA in Music and Spanish from The University of Birmingham. She currently performs around the UK and Europe as part of the Trad Academy Sea Shanty Choir. Rachel read music at Bristol University and completed a master’s degree on the electroacoustic music of Radiohead and Björk. After graduating, she joined the Music Department at Westminster Abbey, where she was responsible for the special services that the Abbey is known for, including the service to commemorate 60 years since the end of the Second World War, broadcast live on the BBC. Rachel joined Askonas Holt in 2007, and works for conductors and instrumentalists. Rachel is a real Londoner, and as well as travelling, she’s passionate about exploring and understanding the changing face of her own city. She’s a regular cyclist and likes to keep fit, which is just as well, as her other passion is food! Hannah has been part of the Askonas Holt team since 2015. After graduating with a first in Music from Goldsmiths, University of London, Hannah started working for BBC Radio 2 before leaving to join Universal Music. A tough decision between her two true loves, music and food, Hannah enjoys singing regularly with the BBC Symphony Chorus and at the BBC Proms, becoming a member during her university days. Come the weekend, she likes nothing more than baking up a storm Mary Berry style and licking cake batter/ peanut butter straight from the spoon. Kate has been working with Askonas Holt since July 2016 as Head of HR. Kate has worked for FTSE 100 companies and growing businesses in a variety of sectors. She has a degree and masters in Human Resource Management and is a Fellow of the Chartered Institute of Personnel & Development. She loves travelling with her family, being by the beach, coffee and enjoying music and concerts with good friends. Martin Campbell-White is widely regarded as one of the most experienced and admired artists managers of our generation. Having begun his career at Ibbs & Tillett, Martin moved to Harold Holt in 1972 and later negotiated the merger of that company with Lies Askonas, to form Askonas Holt. Martin has overseen the careers of major artists such as Sir Simon Rattle, Robert Tear, Daniel Harding and Bernard Haitink, as well as taking a leading role in arranging major international tours. 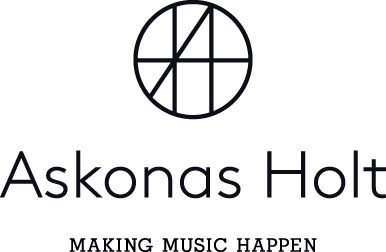 Martin continues to work at Askonas Holt, advising and consulting our staff and artists. Martin also acts as consultant for the Opera Comique in Paris. Martin divides his time between London and France, as well as taking care of his growing team of grandchildren.